Teen Diva Warning, This is A Dynamite Act! Clear the decks it's Britain's top Little Mix tribute band and four impossibly energetic girsl who can also really sing and dance! Teen alert!, it's time to welcome on stage four great looking bundles of dynamite in the form of the UKs best Little Mix tribute band. 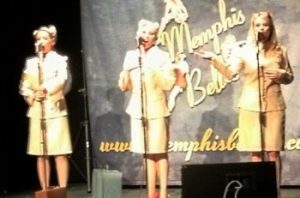 These four girls will leave you and your audience breathless with the boundless energy they bring to their fully choreographed, tight harmony singing show. There's high energy at work here as these four let it all go and leave it all out on the stage. This creates a terrific atmosphere for audiences of all ages, which will thrill and delight at the same time. The girls look great and dance like dervishes but don't overlook the quality of their vocal work (and you might because you'll be too busy watching for the first few numbers). Take a step back, though, and you'll realise there are four very talented singers here and, amazingly, vocalists who are able to keep the vocal quality regardless of the high-tempo dancing. Seriously impressive stuff in such young performers. So whether you want to bound around and join in the singing or simply sit and watch the girls belting out the original's list of hit songs you can't help but enjoy this show. Great entertainment! 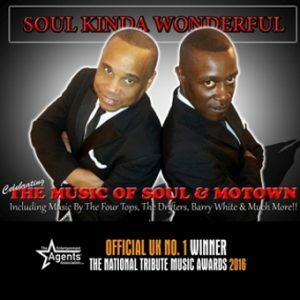 Soul Tribute Act – These Bros Have It Down!